Many people choose to visit physical therapists if they are in pain or suffering from a debilitating condition. Physical therapists are healthcare professionals who specialize in treating conditions that affect the bones, joints, muscles and connective tissues in the human body. They are trained and experienced in techniques to help reduce pain and promote recovery. At Excel Sports and Physical Therapy in Ellisville, Missouri, one way we treat pain and injuries is using electrical stimulation. No, electrical stimulation isn’t shock therapy. It’s much more gentle and is an integral part of many physical therapy treatments. Electrical stimulation provides many benefits, including pain reduction and improved muscular strength. Some injuries limit the use of certain muscles, including muscles that aren’t even injured but cannot be used while the injury is recovering. Using electrical stimulation on these muscles can help keep them strong and healthy without aggravating the injured area. The process of electrical stimulation is not too complicated. During electrical stimulation, you’ll be connected to a machine that releases a controlled amount of electricity. 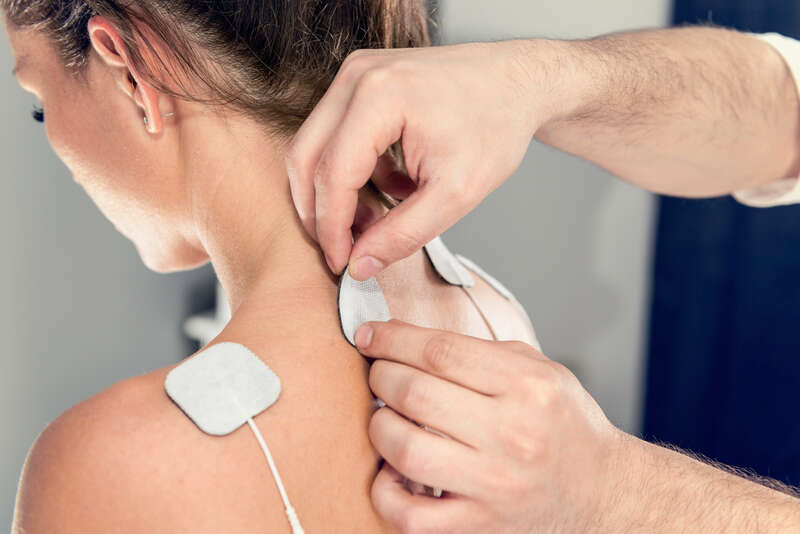 Your physical therapist’s expertise comes into play when deciding where to place the electrodes and how much electricity to apply. You may feel some tingling as the machine begins to release electricity. Eventually, your muscles will begin to contract and release at a controlled rate. This cycle will continue for however long your physical therapist determines is necessary. All you have to do is relax while the machine takes care of all the hard work. Have you recently been injured or are you suffering from chronic and debilitating pain? Contact our team today for more information about electrical stimulation or to schedule an initial appointment.